The iconic, All-American restaurant brand, world-renowned for freshly-prepared, high-quality food at a great value with friendly service is honoring the Lenten period -- when seafood is at the top of everyone's wish list -- with several freshly-prepared seafood offerings, enhancements to its Seafood Fresh Food Bar and Pecan Pie as a featured dessert. • Teriyaki Glazed Salmon – Grilled Salmon filet topped with a sweet teriyaki glaze. Served with choice of two side items. • Shrimp Stir-Fry – Tender grilled shrimp stir-fried with broccoli, onions, red peppers and teriyaki sauce, then ladled over choice of steamed rice or rice pilaf. Garnished with chopped green onions and served with grilled garlic bread. Includes choice of two sides. • Crispy Pile O’ Shrimp™ - A dozen large shrimp, hand-breaded in our homemade bread crumbs. Served with choice of two sides and cocktail sauce. • Shoney’s® Fish Sandwich – Codfish filet, hand-breaded in our homemade bread crumbs then served on a toasted hoagie with lettuce and tartar sauce. Served with French fries. • Lobster Roll – Tender, cold water North American Atlantic lobster tossed with mayonnaise, celery, green onions and seasonings, then served on a bed of lettuce in a toasted roll. Includes French fries. • Lobster Artichoke Spinach Dip – Tender pieces of cold water North American Atlantic lobster, sautéed spinach and artichokes in a creamy three-cheese sauce. Served with our classic Dixie Tater Chips®. • Pecan Pie – A rich filling mixed with pecans and baked in a flaky crust. Topped with vanilla bean ice cream and a drizzling of sea salt caramel sauce. 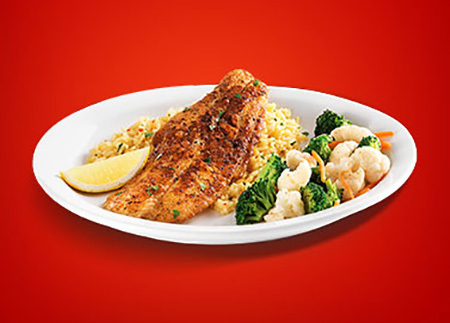 During the same period, guests can enjoy enhancements to Shoney’s Seafood Fresh Food Bar, with freshly prepared all you care to eat items such as Lobster Mac & Cheese, Creamy Seafood Bake, New Orleans-style BBQ Shrimp, Stuffed Sole, Baked Whole Catfish with Onions, Peppers & Tomatoes and more. Shoney’s has served as America’s Dinner Table for 71 years is still collecting accolades. The world-renowned brand was recently recognized by consumers as one of America’s Favorite Chains in the family-dining category, based on a Restaurant Business poll and was voted one of the best 8 family dining restaurants in the United States in the Consumer Picks Survey via Nation’s Restaurant News. Shoney’s was recognized for having the best rating for value among all family dining chains and also scored well for its service, menu variety and diners being likely to recommend it. In order to get back to what Mr. Davoudpour confidently calls Shoney’s “Glory Days,” the brand is now growing through franchising, following an extensive revitalization effort. Shoney’s is offering franchising opportunities to qualified single and multi-unit candidates. For more information, visit www.shoneys.com/franchise.